Revved up and stripped down. Raw punk rawk framed in catchy tunes that clock in under 2 minutes. When you're listening to Bob Burns and the Breakups you know you're in the midst of the muffled screams of insolent youth and the double- barreled middle-finger salute to unsuspecting business types. Hailing from the sleepy college town of Steven's Point, WI the band, which formed in 2003, mixes hints of late 70s punk ala D.O.A., Fear, The Dils and The Middle Class with a heavy trashy dose of The Devil Dogs and New Bomb Turks. 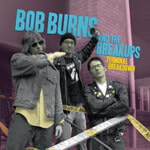 Prior to signing with Gearhead Records, Bob Burns and the Breakups released a pair of singles on the Dingus and Plastic Idol labels, and a full length LP on P-Trash Records of Germany. 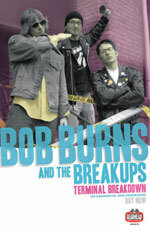 Terminal Breakdown is available on CD and yellow vinyl!